Hyde County Transit has enjoyed serving the communities of Hyde since 1987. HCT was incorporated as a private non-profit corporation by a group of private citizens that saw a need for public transportation services for the county’s residents. Presently, HCT has a fleet of two 25-ft buses and fours vans, three of which are wheelchair accessible. 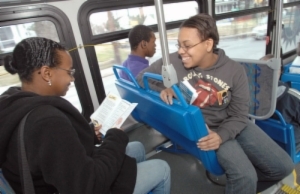 In 2014, HCT provided over 14,000 one-way trips for the residents of Hyde. We have many transit services available such as: non-emergency medical transportation, employment transit services, transit services to the Mattamuskeet Senior Center, and the Rural General Public Program. For more specific information concerning transportation programs, please call our office. Our office is open Monday through Friday from 8:00am-5:00pm. Hyde County Transit would like to encourage everyone to please let us know what your transit needs are. We are always looking for new service alternatives to offer you. Most residents believe that HCT’s services are not available to them, but everyone is eligible for our services. We promise we are interested in knowing where you would like to go and what we can do to get you there. Hyde County Transit is administered by Director Beverly Paul, along with Assistant Director Lorna Quidley. Transit Services are available to ALL citizens. They are affordable, too. The most expensive outing is a round trip to Greenville that costs $5. Other than that, an in-county ride will cost no more than $2.10. To schedule a ride with Hyde County Transit, please call (252) 926-1637. The hearing impaired may call the Telecommunications Relay Service TDD 1-800-735-2962 or Voice 1-877-735-8262. We also provide many other trips each month to other locations such as Belhaven, Plymouth, Washington, and Greenville, so please call us more information about this program. For service, please call at least a day in advance by 12:00pm. You can still call on the day you need service to see what might be available. Public transit services can be used for a variety of purposes including: shopping, medical appointments, to work, to visit a friend or family member, go to the post office or bank, and many other places. HCT can also provide transit services to the local bus station in Washington. This service is available on Thursdays and may be available on other days. 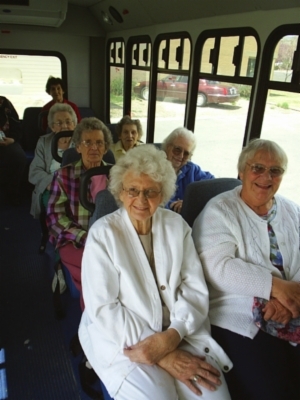 We provide transit services Monday through Friday to the Mattamuskeet Senior Center. To schedule this transportation, please call the Senior Center Director at 252-926-1956. Don’t miss out, visit the Mattamuskeet Senior Center and enjoy fun, fellowship, and exciting new opportunities waiting for you. We currently have employment transportation service available 7 days a week. HCT also has transit services available for you to visit the Employment Security Commission satellite office in Swan Quarter or Washington. We may also be able to assist you with transit services to child care facilities, job fairs, job training, or to your present job. Please call for more information about this program. Transportation services are available Monday thru Friday to medical facilities within the county, Services are available to Belhaven, Washington, Plymouth, and Greenville on days set on the HCT calendars. We ask that you make your appointments between 9:00am-12:00pm to insure that your trip is a quick one! The Medical Express Program is available to individuals that are either at least 60 years of age or older or disabled. The Medical Express Program services are available Monday through Saturday to surrounding counties for medical appointments. Please call for more details on program eligibility. We have a trip once a month that originates from Ocracoke Island to Avon. This service is free to anyone age 60+. The trip is available for everyone at a cost of $3.20 round trip. We also have a trip once a month that originates from Ocracoke Island to the Outer Banks for the day. This trip is also free to anyone age 60+. This trip is also available to everyone at a cost of $5.00 round trip. See service calendar at bottom of page. 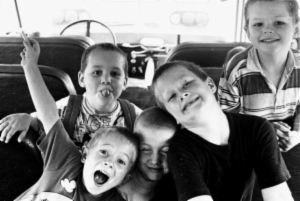 Hyde youth uses the system for all kinds of programs, including transportation to and from summer camps, 4-H events and extracurricular activities. Hyde Transit offers a calendar of trips each month. People taking classes at Beaufort County Community College may be able to utilize some of these services, depending on their class schedule. Due to funding constraints, daily out-of-town trips to BCCC are not available at this time. Plan your trip now - see service calendar below. It’s important to note that Hyde Transit is not funded or facilitated by Hyde County. This non-profit organization is self-sustaining and almost entirely grant-funded. The Fiscal Year 2014-2015 Board Members are: Malcolm Gibbs (Chairman), Julio Morales (Vice-Chairman), Janet Russ (Treasurer), Linda Mayo (Secretary), Hortense Burrus, Justin Gibbs, Barry Swindell, Sterling Tripp, Kris Noble, and Philip Holloway. See Hyde County Transit Board meeting schedule here. Check out the following websites if you would like to learn more about public transportation or to access other transit systems in North Carolina.